Work progresses. 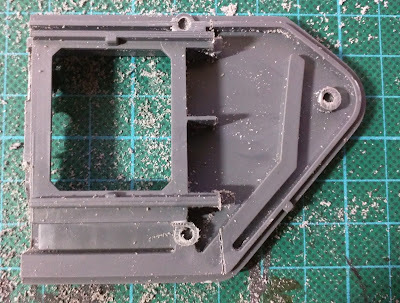 I figured out how to mount the internal Landraider to the internal Baneblade side. 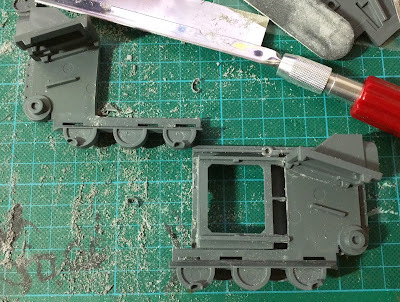 Step 1 - Firstly, cut the horizontal tabs evenly, And while you're at it cut the extensions back, flat to the side, on the Landraider internal. 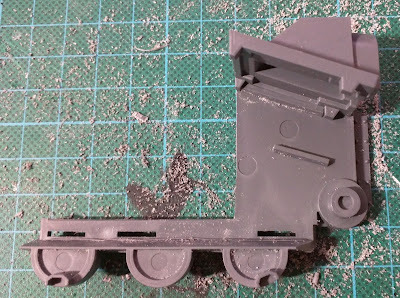 Step 2 - Then I cut away the internal Baneblade side and attached the top armor siding﻿. 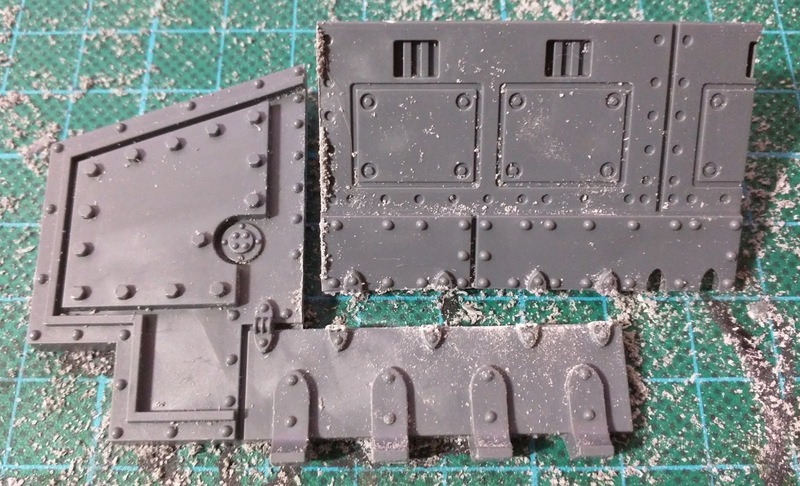 Step 3 - Attach the internal Landraider side to the internal Baneblade side. 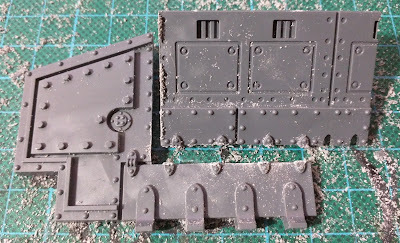 Up next attaching the external Landraider side to the external Baneblade side.